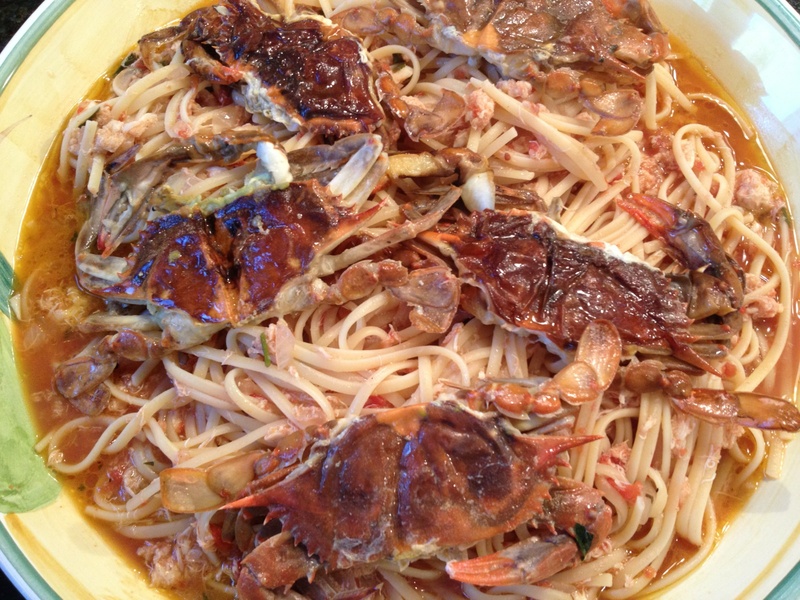 Granchio….plump, juicy, soft shell crabs that is. Fresh from the water. Tasting of the sea. For those of us fortunate enough to be close to the ocean, the New Jersey shore delivers this time of year. This simple dish cannot be beaten. The first thing I needed to do was clean the crabs. I’d never done this before but the purveyor showed me how. It was very easy, though kind of gross. Ask your fish monger to clean them for you. In a large heavy bottomed pot, I sauteed the onion, garlic and herbs in some extra virgin olive oil and about 3 tablespoons of butter. Once these softened and began to take on a little color, I deglazed with 1/2 cup white wine and then reduced to a simmer. 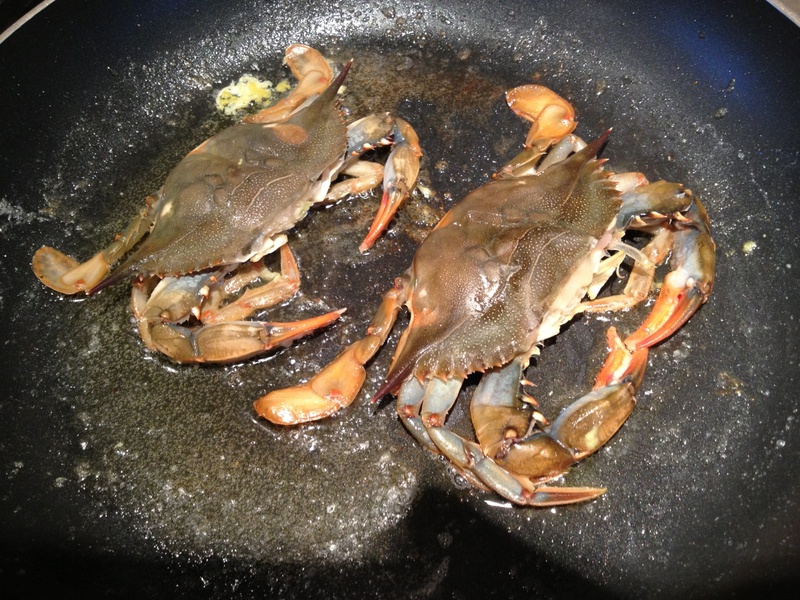 While the pasta is cooking, saute the soft shell crabs. I used the other 3 pats of butter and a splash of white wine. They only take 2-3 minutes per side and will turn an orangey color like shrimp or lobster – but not quite as bright. Work in batches to avoid over crowding. Once the pasta and the soft shells are done, add the lump crab meat to the heavy bottomed sauce pan. Stir to warm and then drain the pasta right into the pan. Toss to coat well and add the San Marzano Passata and continue to toss until it warms through. Check for seasoning, serve to a platter and top with the soft shells. 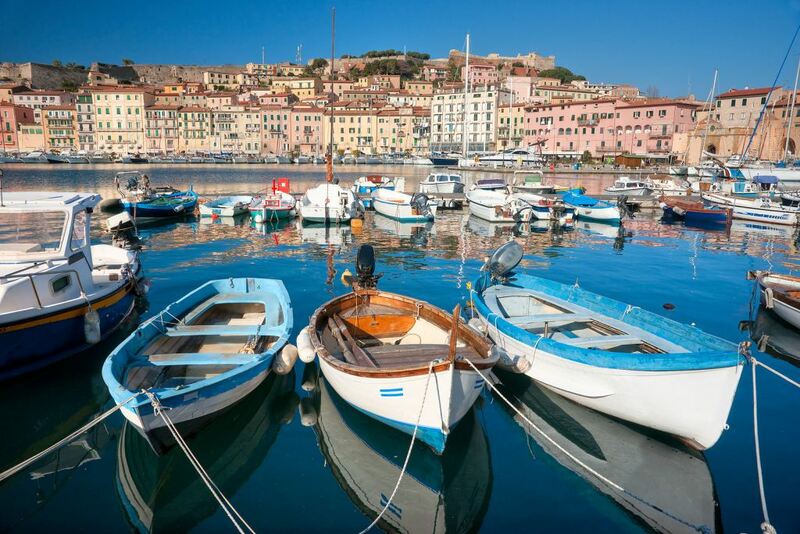 Pure and delicious flavors of the sea! What to drink? We opened a few nice whites that I’ll review separately – the 2012 Dry Creek Vineyard Sauvignon Blanc and the 2011 Nobilis Fiano del Avellino from Campania. Both whites were delicious with the crab meat, though I might give the nod to the Dry Creek. Simpy outstanding! You could also try a slightly chilled red such as Lambrusco, a Frascati or even a fruity Rose. Very interesting recipe…I have never cooked soft shell crab, but I will definitely try it, looks just too fanstastic! Last weekend, I wanted to make some pasta bolognese. I felt like doing something a little "funkier" than usual and I remembered you posting your Ragu alla bolognese recipe. Turns out I've tried it and I have to say, it was a total KNOCK-OUT!!! Seriously, I was not excpecting it to be THAT good, but wow… Rendered pancetta + porcini were what made the difference in that ragu. I did it almost the same way as you did, except I couldn't resist not adding any garlic nor crushed chili at all 🙂 Had it with Antinori Pian delle Vigne 2007 Brunello, just perfect. Thank you for that great recipe and also thanks for taking time writing follow-up comments, very appreciated! That's awesome! I'm glad you tried it and liked it. I think the next thing I'm going to do is a rabbit stew, Tuscan style. I found some gorgeous rabbits at the butcher and my youngest is dying to get at them. Thanks again, and stay tuned.